Madalynn Olmsted, Advanced Fibers, Spring 2016. 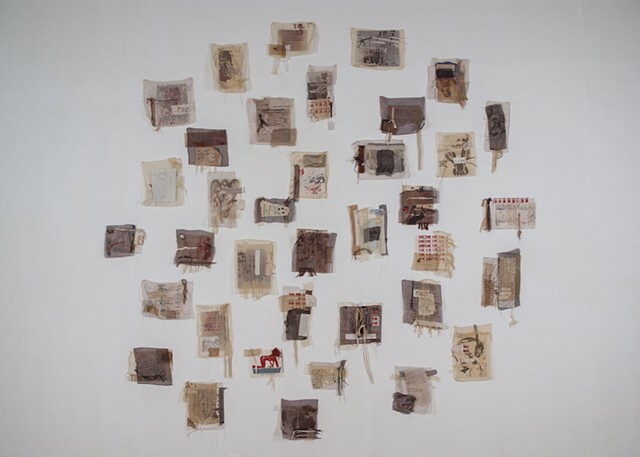 Mixed media fabric collage installation. University of Missouri. Madalynn Olmsted, Advanced Fibers, Spring 2016. 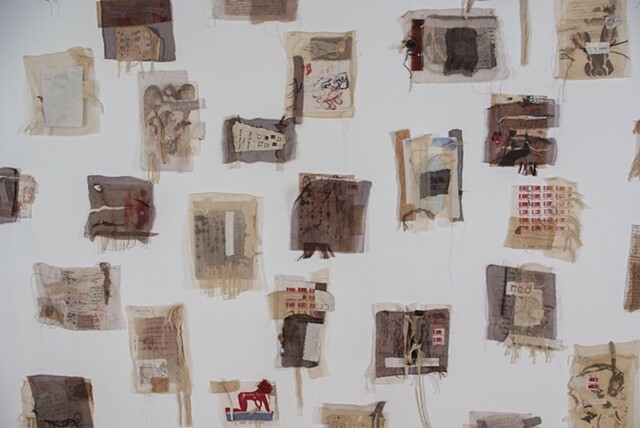 Mixed media fabric collage installation, detail. University of Missouri. 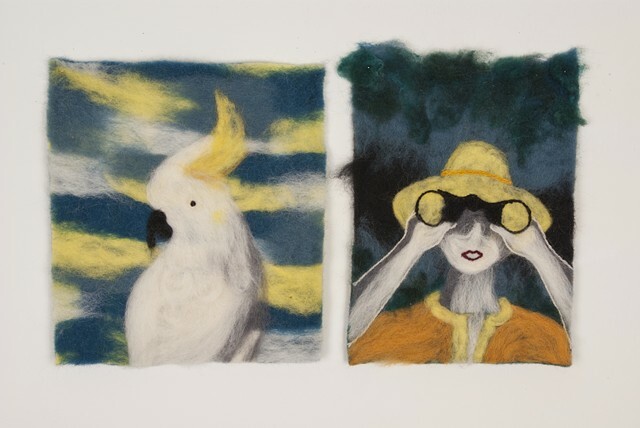 Madalynn Olmsted, Intermediate Fibers, Fall 2015. Stitched silk organza book. University of Missouri. 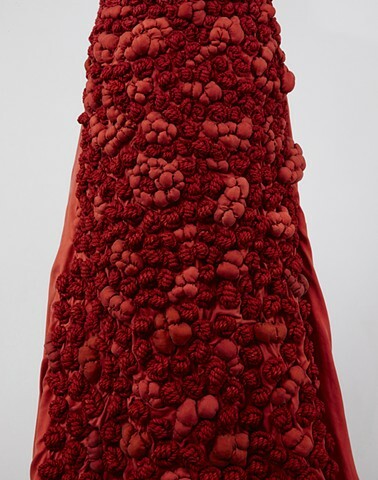 Timothy Cameron Glanvill, Advanced Fibers, Spring 2016. Wet and needle felted wool. University of Missouri. Timothy Cameron Glanvill, Advanced Fibers, Spring 2016. Wet and needle felted wool detail. University of Missouri. Timothy Cameron Glanvill, Advanced Fibers, Spring 2016. Free motion machine embroidery. University of Missouri. 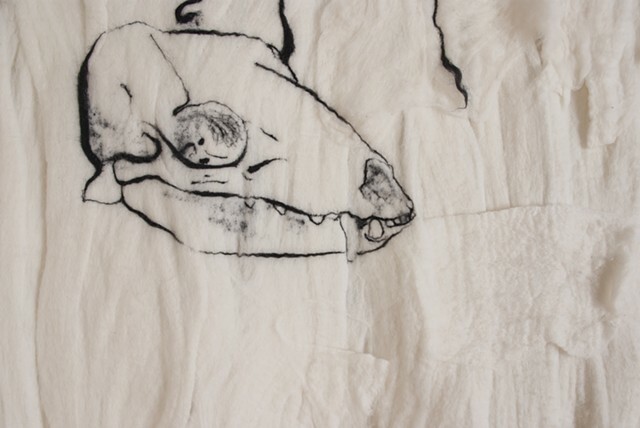 Jennifer Bennett, Fibers MFA Thesis Exhibition, Becoming Aware, Spring 2016. 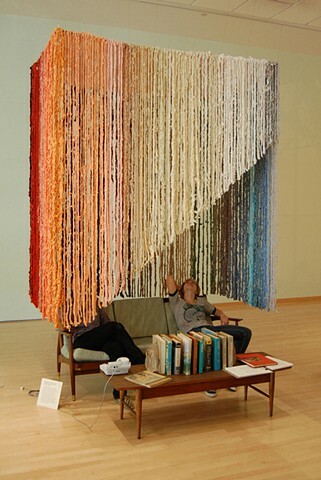 Filet crocheted cotton thread installation. University of Missouri. 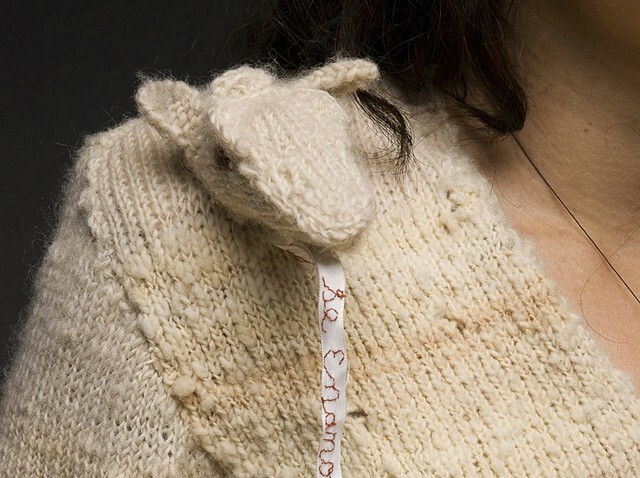 Mary Margaret Sandbothe, Fibers MFA, Spring 2016. Out of Date: Soft, Sweet, White & Wedded Women from MFA thesis exhibition False Sense of Care. Digital inkjet print on cotton. University of Missouri. 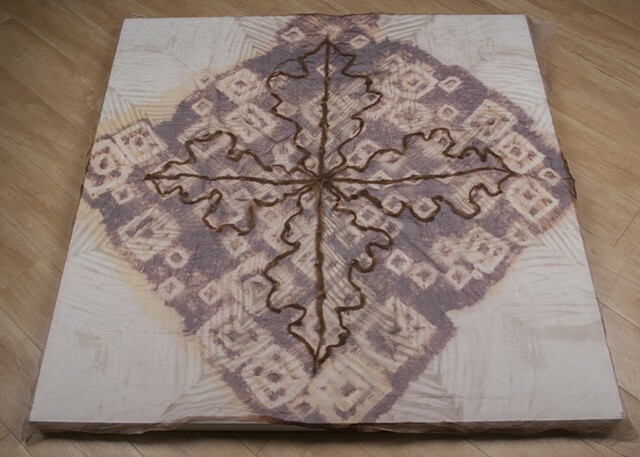 William Billy George, 2nd Year Fibers MFA Candidate, Spring 2016. Institution Revolution. Quilted found piecing and digitally printed cotton. University of Missouri. 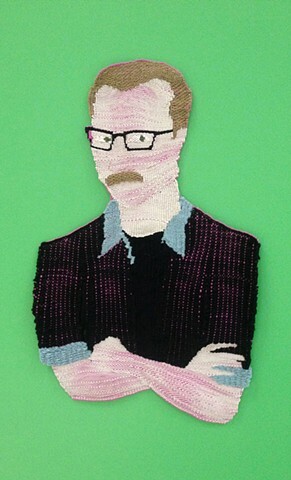 Aidan Cornelison, Intermediate Fibers, Spring 2016. 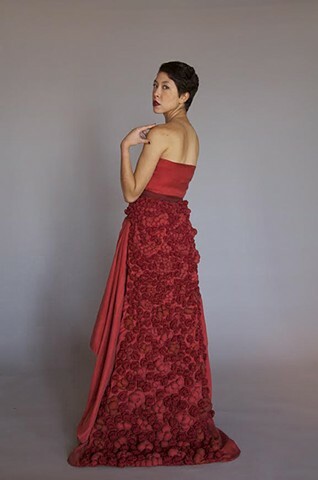 Walnut dyed and nuno felted silk organza. University of Missouri. 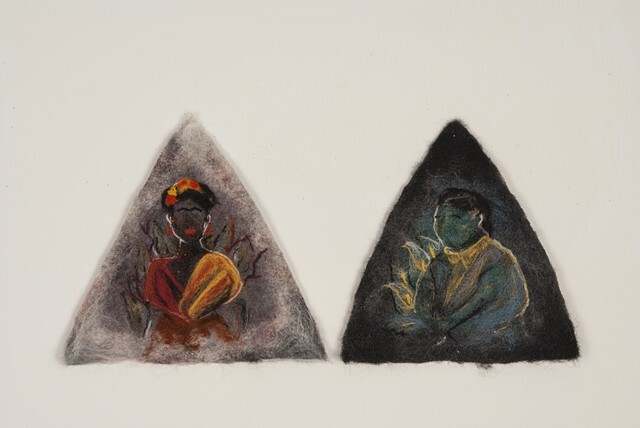 Michelle Dominguez Salinas, Beginning Fibers, Spring 2016. 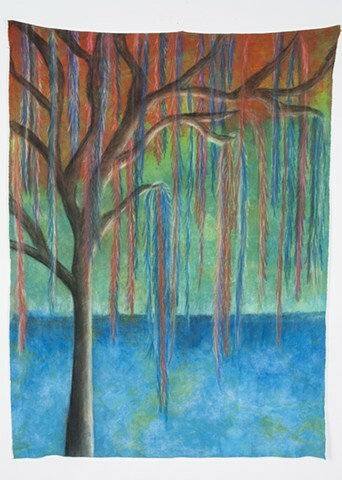 MX dye and pastels on raw silk. University of Missouri. 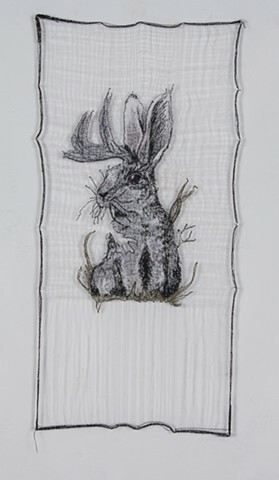 Michelle Dominguez Salinas, Beginning Fibers, Spring 2016. MX dye and pastels on raw silk, detail. University of Missouri. 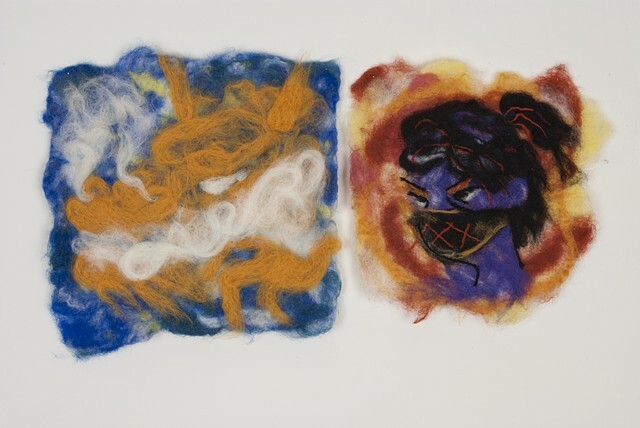 Mitzi Salinas Dominquez, Intermediate Fibers, Fall 2016. Coiled yarn and paper sequins around seagrass. University of Missouri. Kimberly Greenan, Intermediate Fibers, Spring 2017. Chip bags coiled around a jump rope. University of Missouri. Allie Heckman, Intermediate Fibers, Fall 2016. Coiled yarn around rope core. University of Missouri. Bridget McFerren, Intermediate Fibers, Spring 2016. 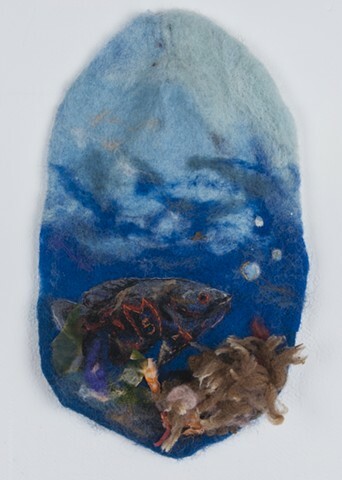 Wet and needled felted wool with embroidery. University of Missouri. Cynthia Perez, Intermediate Fibers, Spring 2017. Wet and needle felted wool. University of Missouri. Arik Sexton, Intermediate Fibers, Spring 2017. Wet and needle felted wool. University of Missouri. Paige White, Intermediate Fibers, Spring 2017. Wet and needle felted wool. University of Missouri. 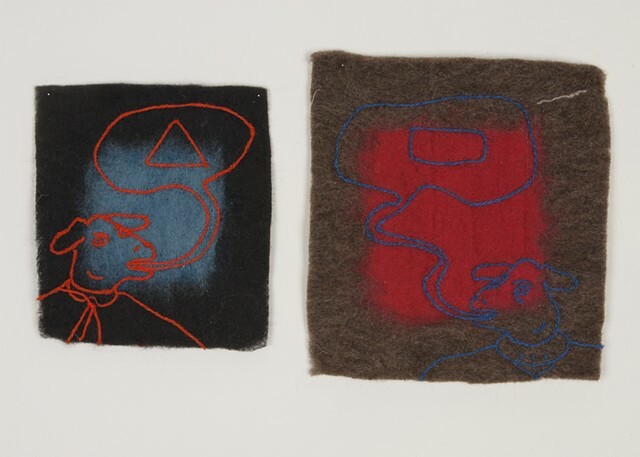 Edward Henuber, Intermediate Fibers, Spring 2017. Wet and needle felted wool. University of Missouri. 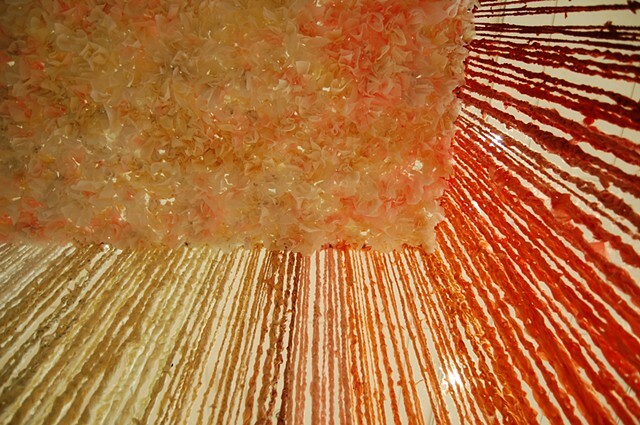 Amanda McCavour, Fibers and Material Studies Graduate Projects, 2013. Black Cloud. Paper, straws, toothpicks and thread. Tyler School of Art, Temple University. Black Cloud, detail. Paper, straws, toothpicks and thread. Tyler School of Art, Temple University. 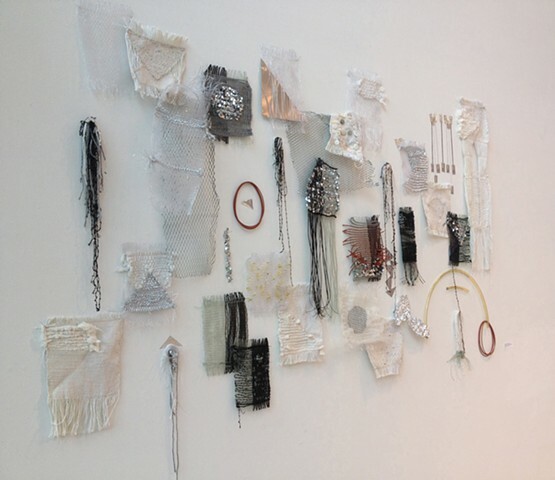 Amanda McCavour, Fibers and Material Studies Graduate Thesis Exhibition, 2014. Flux, MFA Thesis Exhibition, March 2014. Flocking, fabric, glue, ink, paper, thread, straws, mylar, plaster, paint, plastic and tape. Tyler School of Art, Temple University. 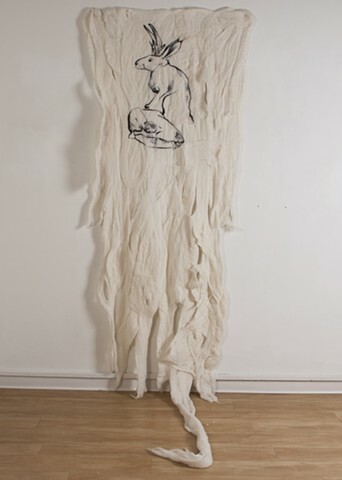 Rachel Barnes, Kelly Flegal, Tatyana Grechina, Soft Sculpture, 2011. Collaborative “Couch Intervention”, Temple Contemporary. Crocheted recycled cotton with steel armature. Tyler School of Art, Temple University. 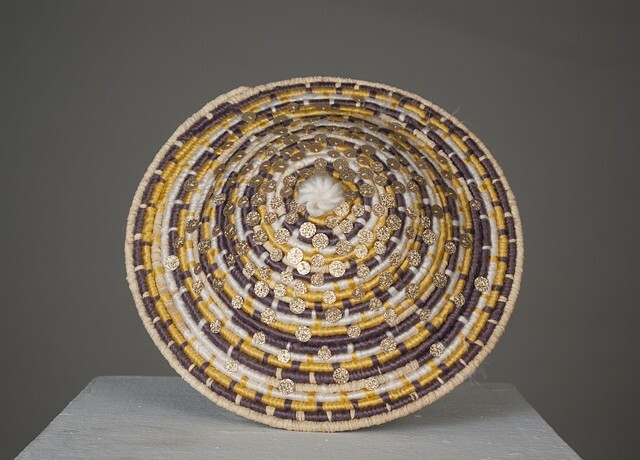 Abigail Potts, Woven Structure III, 2014. Dave. Acrylic yarn tapestry. Tyler School of Art, Temple University. Abigail Potts, Woven Structure II, 2013. Patron Saint of Crabs and Beer. Acrylic yarn tapestry. Tyler School of Art, Temple University. 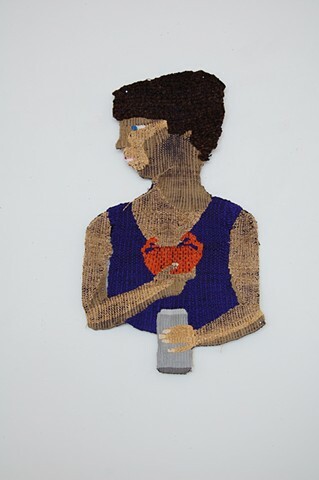 Patron Saint of Crabs and Beer, detail. Acrylic yarn tapestry. Tyler School of Art, Temple University. 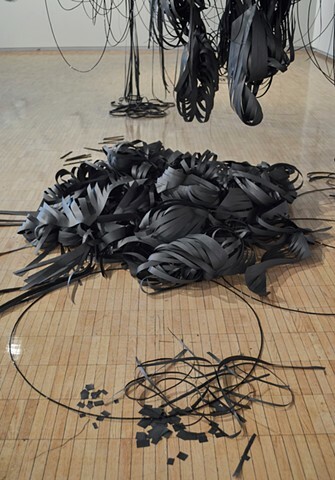 Abigail Potts, Structural Embellishment, 2013. Tough Boy. 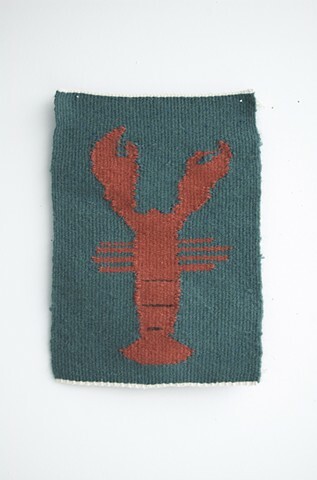 Fabric applique and embroidery. Tyler School of Art, Temple University. Molly Denisevicz, Woven Structure I, 2013. 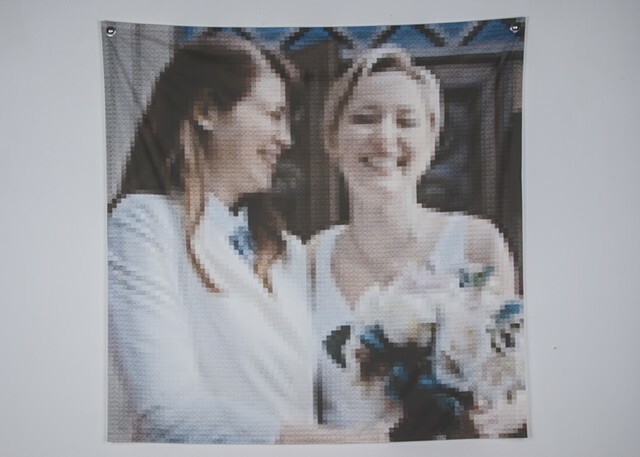 Tapestry Sample. Tyler School of Art, Temple University. 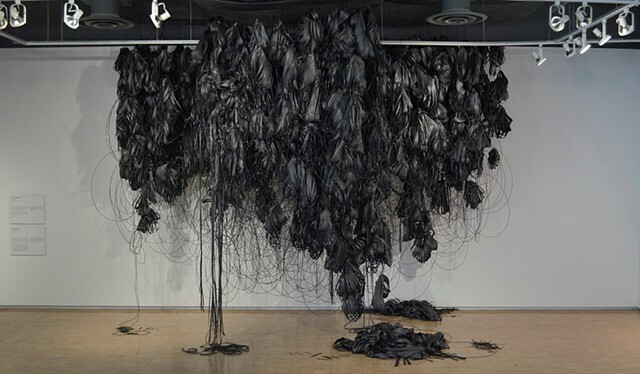 Madison Andrews, Woven Structure I, 2011. 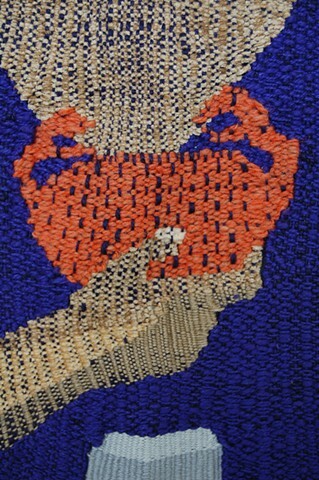 Molly Denisevicz, Woven Structure II, 2013. 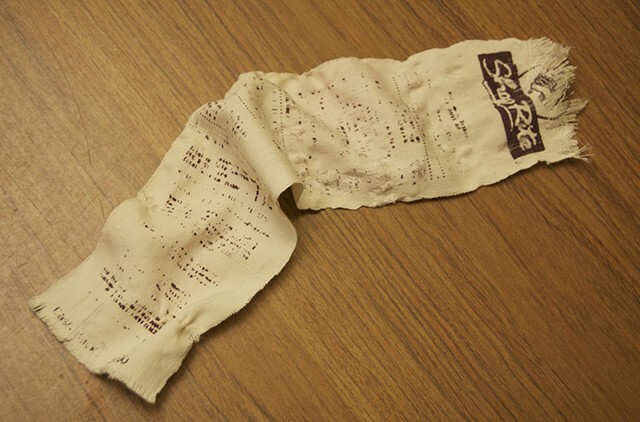 Shop Rite Receipt. Screen-printed MX thickened dye on hand woven silk. Tyler School of Art, Temple University. 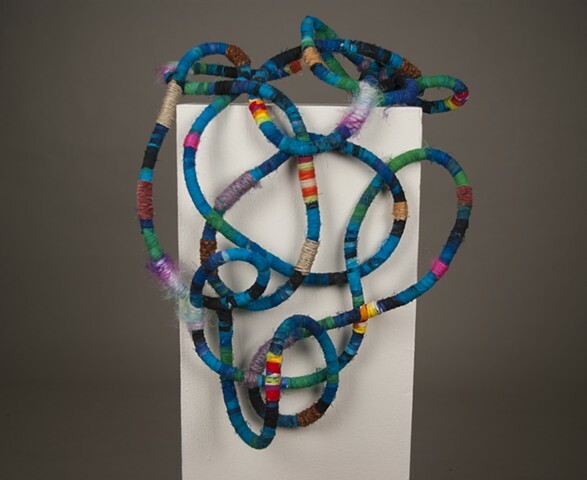 Carolyn Perri, Woven Structure II, 2013. 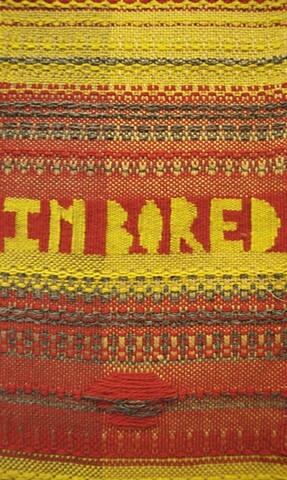 I’m Bored, Wool tapestry. Tyler School of Art, Temple University. Samantha Connors, Woven Structure III, 2014. 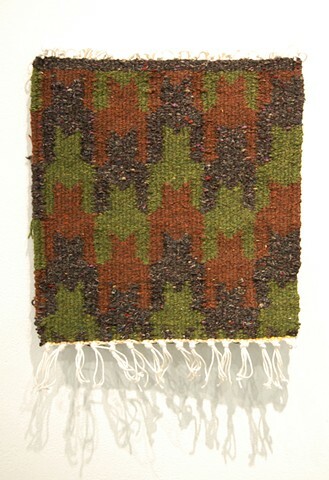 Experimental Weaving. 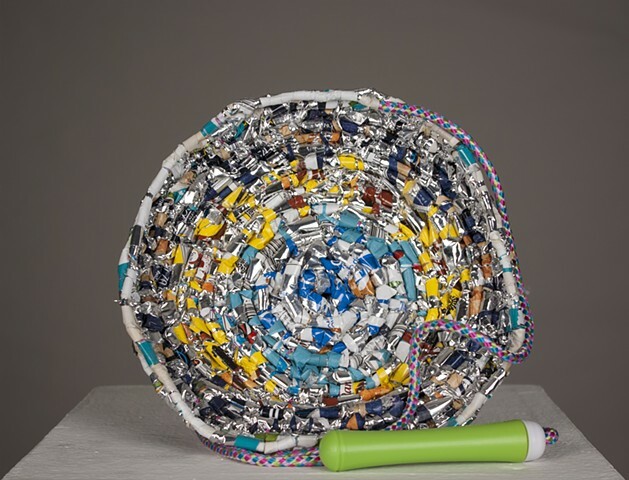 Alternative materials including found plastic lacing, tubing, wire, tinsel, and yarn weaving studies. Tyler School of Art, Temple University. 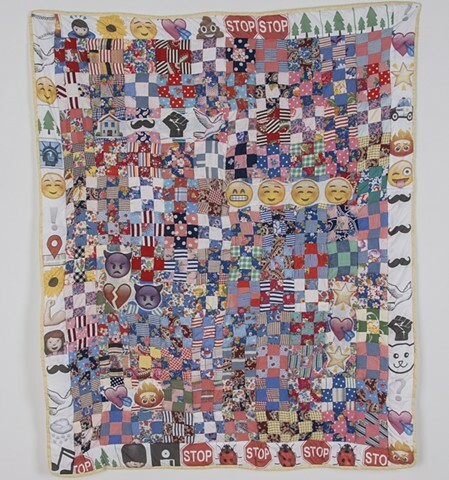 Josh Beaver, Woven Structure II, 2012. Untitled. Floating warp and weft silk woven structure. Tyler School of Art, Temple University. 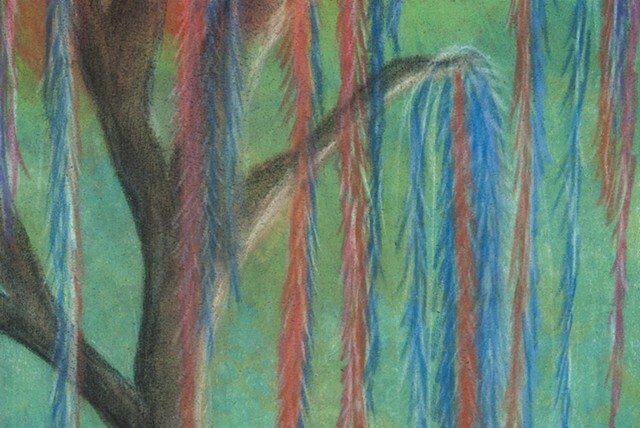 Untitled, detail. Floating warp and weft silk woven structure. Tyler School of Art, Temple University. 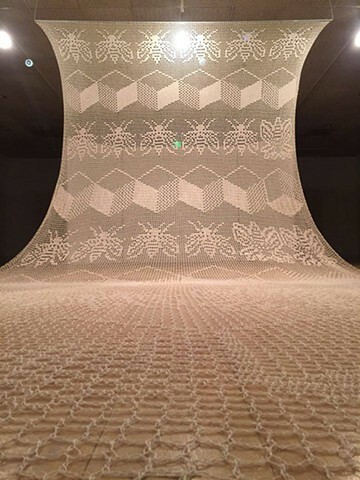 Lauren Koch, Woven Structure III, 2014. In progress on the loom. 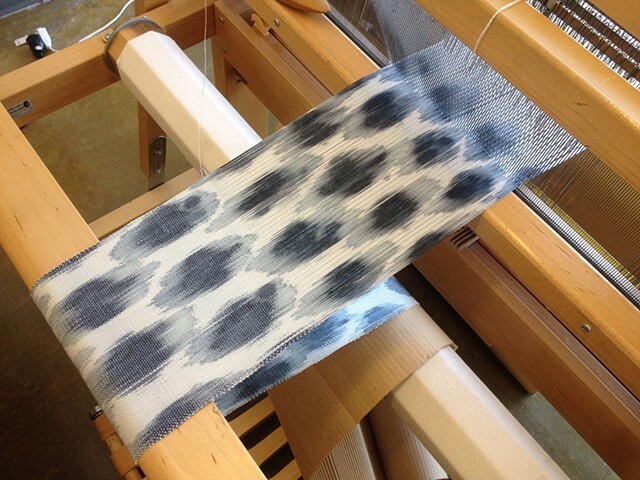 Natural indigo warp dye painted cotton yarn pattern draft. Tyler School of Art, Temple University. 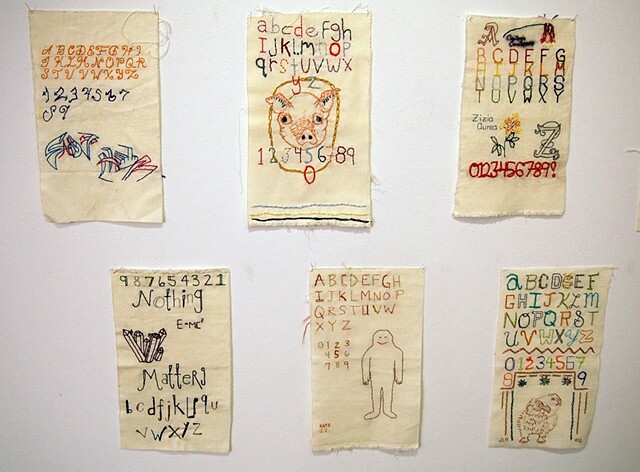 The first assignment for Structural Embellishment was to design and create an embroidered sampler including alphabet and numbers is a range of stitches. Tyler School of Art, Temple University. 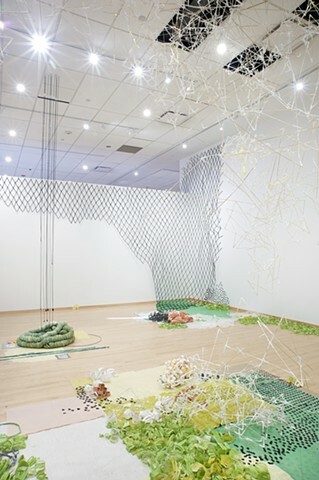 Janice Marin, Structural Embellishment, 2013. Spam. 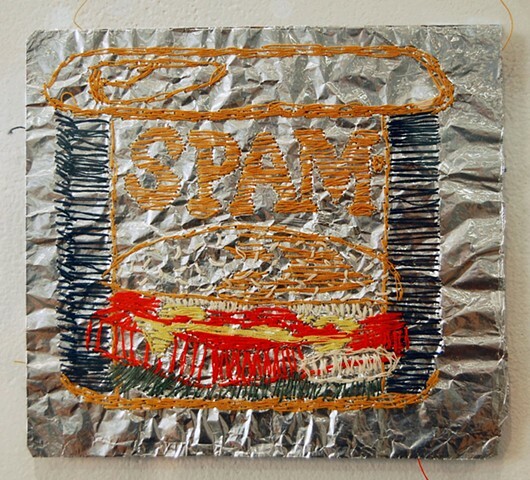 Embroidery on aluminum foil. Tyler School of Art, Temple University. Sienna Martz, Independent Study, 2014. Tyler School of Art, Temple University. Sienna Martz, Independent Study, 2014. Detail. Tyler School of Art, Temple University. Nicole Campanale, Body Art and Adornment, 2009. Se Enamoraron. Machine and hand knitted wool. Tyler School of Art, Temple University. Se Enamoraron, detail. Machine and hand knitted wool. Tyler School of Art, Temple University. Walrus. Machine and hand knitted wool. Tyler School of Art, Temple University. 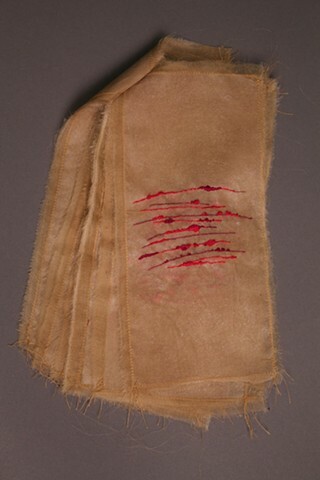 Amanda Bowers, Body Art and Adornment, 2009. Untitled. Machine and hand sewn digitally printed silk and tulle. Tyler School of Art, Temple University. 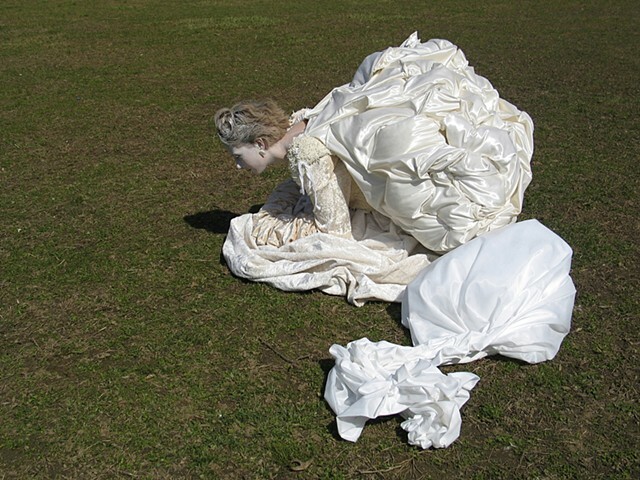 Patrick Burgoyne, Body Art and Adornment, 2009. Ritual Garment. 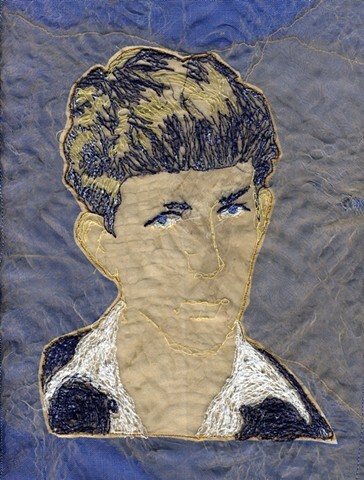 Machine sewn and embroidered fabric. Tyler School of Art, Temple University. 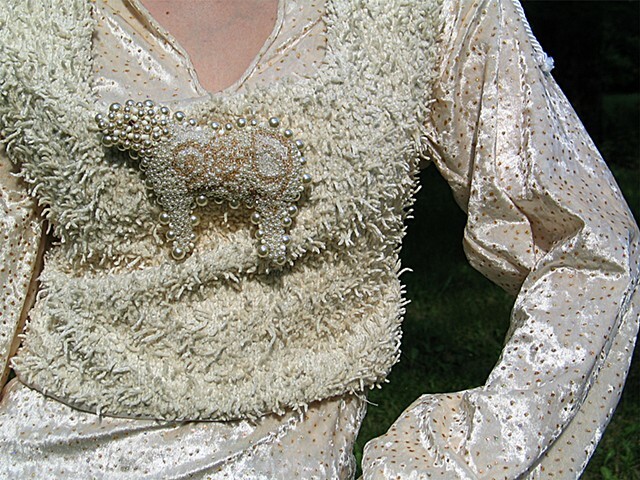 Ritual Garment, detail. 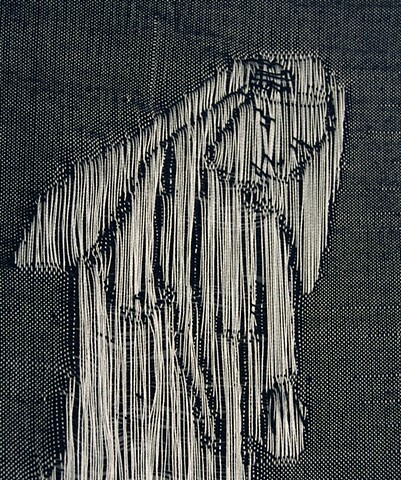 Machine sewn and embroidered fabric. Tyler School of Art, Temple University.